Rogue R2 Wash is a valuable addition to rental and production inventories. 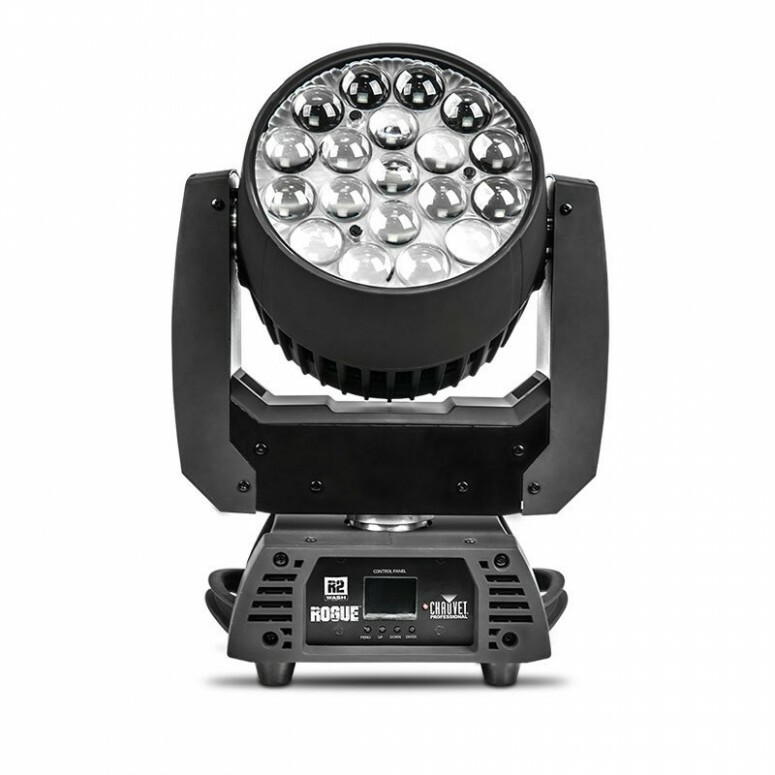 Durable and dependable, this moving wash workhorse produces a bright, powerful light and offers five zones of LED control to pixel map its 19 (15 W) RGBW quad-LEDs. Rogue R2 Wash is a valuable addition to rental and production inventories. Durable and dependable, this moving wash workhorse produces a bright, powerful light and offers five zones of LED control to pixel map its 19 (15 W) RGBW quad-LEDs. A stand out zoom range of 12° to 49° gives it the spread to cover even the largest areas. Smooth color mixing, simple and complex DMX channel profiles and powerCON in and out are just some of the other features that make this fixture a standout performer in any setting.